Today is the publication date of my book A History of Exorcism in Catholic Christianity, which is the first comprehensive history of exorcism in the English language, covering the period from 400CE to the present day. The book is a sort-of-sequel to my earlier English Catholics and the Supernatural, 1553-1829 (2013), and I began writing it in 2012 just after completing the earlier book. The final chapter of English Catholics and the Supernatural was devoted to Catholic exorcisms in England after the Reformation, but I became frustrated that there was virtually no literature that could answer a question that persistently troubled me: ‘What exactly counts as an exorcism?’ In other words, did an exorcism have to be a liturgical event, or was the apotropaic use of objects (such as relics) sufficient? And what sort of liturgical event was an exorcism? Many scholars seemed to assume that wherever the dispossession of a person thought to be under evil influence was attempted, an exorcism had taken place. The main reason for this is that, until now, there has existed virtually no historiography of exorcism per se, although a highly developed historiography of possession and dispossession now exists. Just take a look at a bibliography of the ever-growing literature on demonic possession in the early modern period, and you will see that almost all of it focuses on alleged demoniacs and, occasionally, on exorcists. Very rarely indeed does a detailed analysis of the procedures and rituals deployed feature in the historiography. I suspect that one reason for this neglect is a tendency by historians to assume that we know what exorcism is, and that it is something defined functionally by anthropologists rather than a practice requiring historical analysis. Yet exorcism is historically interesting precisely because strenuous efforts have always been made (and are still being made) by the Roman Catholic church to define and canonically regulate it. Exorcism makes for a fascinating case study (perhaps the most fascinating) of the institutional church’s attempts to curtail and circumscribe a practice that has always had its own independent life within popular religion. And here lies another historiographical reason why, I suspect, exorcism has been neglected. The history of exorcism lies partly in the history of liturgy and partly in the history of learned ritual magic, and possessions tend to be studied by cultural historians and historians of witchcraft who have little interest in liturgy or in the more learned forms of magic. A history of exorcism and a history of possession are by no means the same thing, because the liturgical history of exorcism goes far beyond rites intended to dispossess human beings of evil spirits. Exorcism originated as part of the liturgy of baptism (where it is far from clear that catechumens were ever thought of as possessed), and developed into an integral part of the liturgy of blessing inanimate objects. Although exorcism of energumens (demoniacs) is as old (indeed older) than Christianity itself, recognisably liturgical exorcism seems to have been a relatively late development, appearing first in the Carolingian sacramentaries of the eighth century. Throughout the Middle Ages, liturgical exorcism existed in competition with alternative methods of dispossession of demoniacs, notably the charismatic power of saints and their shrines. In England, for example, there is scant evidence that liturgical exorcism was ever used and demoniacs were brought instead to spend the night at shrines of saints such as Cuthbert, Frideswide, Henry VI and St Bartholomew’s Hospital. 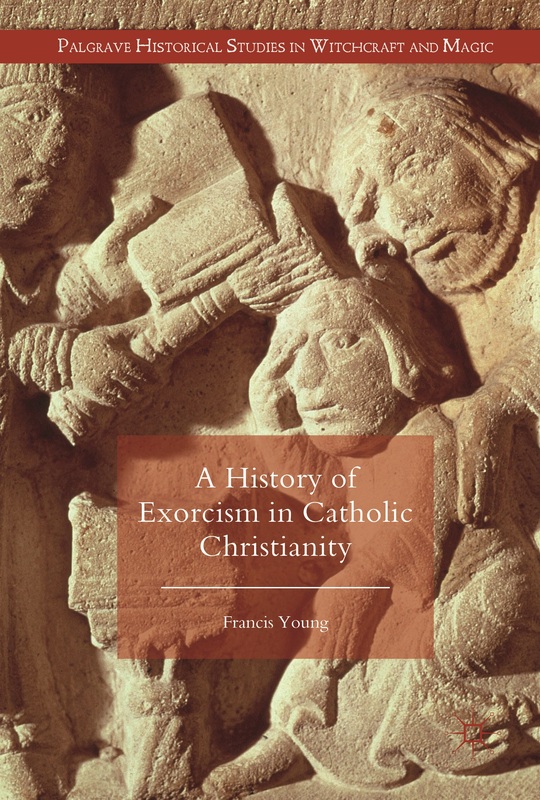 Exorcism in its present culturally recognisable form, as seen in films such as The Exorcist and its many derivatives, is a sixteenth-century phenomenon and a creation of the Catholic Counter-Reformation. The golden age of liturgical exorcism lasted from the 1560s – when exorcists recovered their confidence in the aftermath of Protestant critiques – until around 1700, when the Inquisition began cracking down on unauthorised manuals of exorcism. The most important event within this period was the publication of the official liturgy of exorcism of the Council of Trent in 1614 – a liturgy that remained in force, never translated from the original Latin, until 1999. However, the 1614 liturgy was more honoured in the breach than the observance by the most celebrated exorcists, and it was for this reason that the Inquisition eventually banned all manuals other than the official Rituale Romanum in 1703. The eighteenth century was possibly the greatest nadir in the history of Catholic exorcism, with the practice coming under severe pressure in Enlightenment Europe. However, it ought not to be forgotten that exorcism remained a very active force in missionary territories such as Latin America and China, and famous exorcists still practised in Europe at this period, such as Johann Joseph Gassner. The decline continued into the nineteenth century, when traditional belief in exorcism came under direct attack from secular regimes in Spain, France and elsewhere. However, an increasingly reactionary Papacy in the late nineteenth century began to revive exorcism as it became preoccupied with suspicions of organised evil. Leo XIII’s belief in a Satanic and Masonic conspiracy to dominate the world led him to compose the influential ‘Exorcism Against Satan and the Apostate Angels’ which first appeared in the Rituale in 1893. Exorcism began a slow revival in the twentieth century that culminated in the publication of William Peter Blatty’s fictionalised account of a real-life exorcism in 1971, and William Friedkin’s subsequent film in 1973. Demand for exorcism sky-rocketed at precisely the same moment that the Vatican had downgraded exorcism to ‘a remotely possible service’ and abolished the Order of Exorcist. The church thus found itself at odds with a lay Catholic culture increasingly interested in exorcism. It was not until 1999 that the church responded to this demand by creating a new liturgy of exorcism, although the new rite came in for criticism from many exorcists themselves. Nevertheless, the creation of the International Association of Exorcists in 1994 (one of whose founder members kindly assisted me with the book) and the appearance of numerous training courses for priests is evidence that the practice shows no sign of demise. Indeed, one point of continuity between Pope Francis and Benedict XVI is the support of both Popes for the expansion of the ministry of exorcists. Exorcism is looking healthier in the Roman Catholic church today than it has at any other time in the last 300 years. What do you think of Palgrave making your book available to buy chapter by chapter as well as the whole book.? Will this increase the use of your book as people who wouldn’t buy the whole book will buy just one chapter or reduce the use of your book as people only use parts of it (perhaps that is what happens to academic books anyway)? I expect you don’t make a lot of money from your books but does this way of selling help ? It doesn’t make any difference to me financially, as Palgrave pays me a fixed fee for the book regardless of sales. I wasn’t aware that the book was going to be available to buy chapter by chapter until it appeared on Palgrave’s website. In some ways it does make sense for this book, as many of those who are interested are going to be specialists in Late Antiquity, the medieval period or the early modern period, or they may only be interested in exorcism in the contemporary church. This entry was posted on May 20, 2016 by jacobite.